I V D U (Inner Voice Of Drug Users): Great Harm happens during the time of Injecting, associated with the practice of habituated injecting drug use. Great Harm happens during the time of Injecting, associated with the practice of habituated injecting drug use. Dirty Injection equipment is one of the contributor to harm as it causes infections and many times IDUs get chills and fever after a dirty hit. 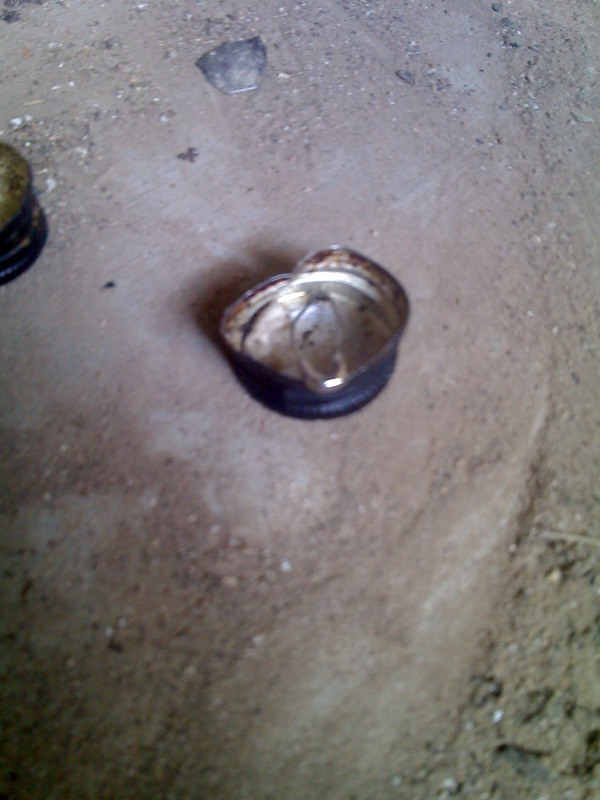 Many people who inject simply look around to find a discarded cooker cap, in-case they don't have one or forget to get it. Apart from the fever risk, it may often contain blood-borne pathogens such as Hep C, Hep B, HIV. 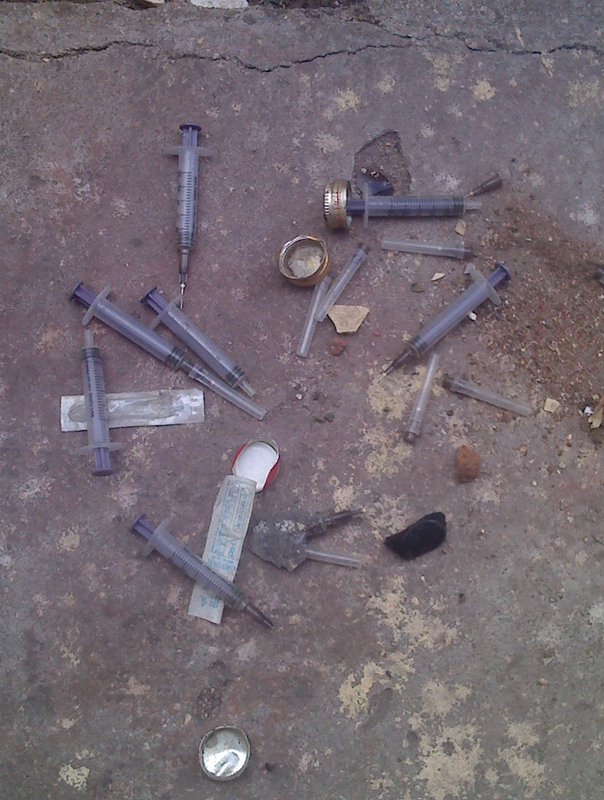 This extends to Dirty Needles and Syringes, many people who inject often belonging to poor economic background and unaware, simply find the discarded Needles and Syringes to use after cleaning with water. IDUs often get caught in situations to clean and re-use for multiple reasons. 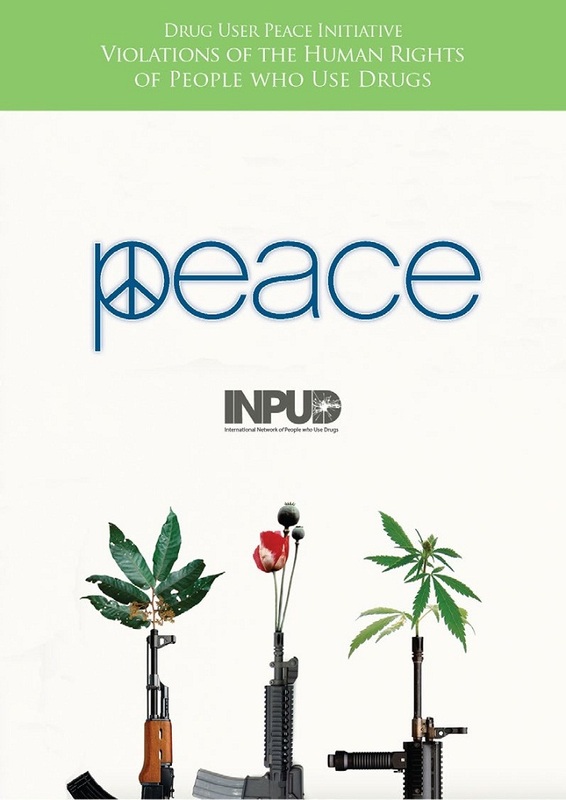 Nonavailability of fresh injection equipment due to late hours or simply don't have enough money to shell out for Syringe and Needle are few examples of many, which makes IDUs use unclean injecting equipment. Many places of injecting, called hot-spots often lack clean water for injecting, leading to use water from toilets and lavatories, which is dangerous for diseases, in some cases people who inject were found to use stagnant rain water to prepare the substance to Inject. There is another common harm which happens to IDUs, they lose veins to inject as most of them fail to rotate the injecting site, leading to death of their veins on Hands & Legs. 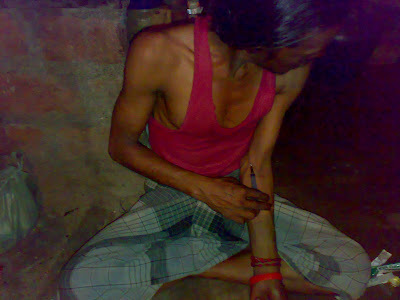 These people who inject lose veins and often have abscess due to bulge during injecting the substance. The substance does not mix in the blood and flow, instead it gets stuck as the injecting vein would have become thin and obstructs flow. These abscesses are often dangerous and can lead to amputations. These abscesses take a long time to heal, sometimes gashing and gaping holes can be seen , during the dressing of wound, they run in to 1 to 2 inches deep. Service organisations and social workers have saved many people's limbs through the years, by care and support, funded by International Organisations. 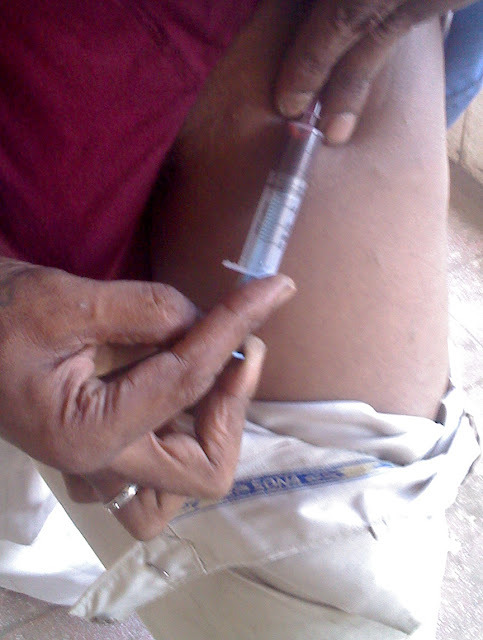 However users have found another way to inject, they inject in the groin area and under the arm, this is typical to IDUs who would have lost all their veins to inject the dose. They start with Injecting on either left or right hand to start and go to the next arm, when the two arms are finished of dead veins, they start to do the same with the legs starting from left or right. When all the veins on the limbs disappear, the last resort are the veins running deep under the muscle, they draw bark blood and inject. 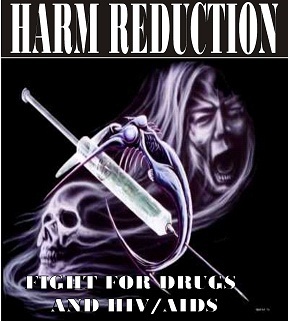 Harm Reduction education to rotate the injecting site actually saved great many people of their limbs, However damage still continues, irrespective of the efforts for reasons being instinctive of Injection drug users to choose a favorite vein to Inject the substance, till a service provider enlightens the person. These Harms have called for Safe injection sites around the world. While all these happen around the world, the Greatest Harm come from Ignoring the Problems and denying the rights of people, who are already battered by Domestic, Social stigma, discrimination and deliberate apathy towards substance use based on self assumed belief that it is immoral or taboo as in many cases.. Below are the Pictures of Harm Documented by Registered NGOs and CBOs. 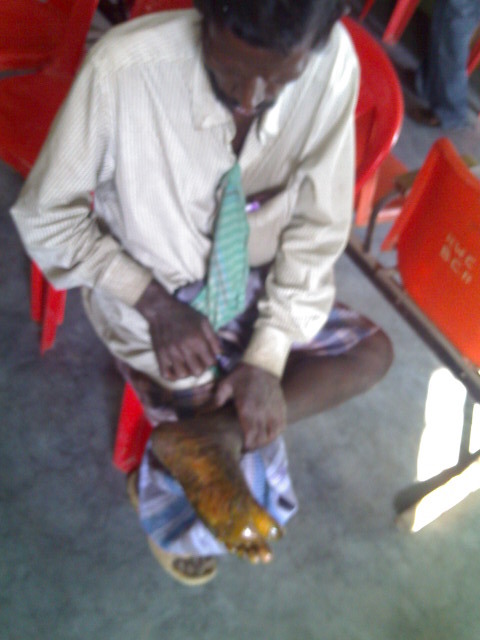 These were pictures taken by the medical teams during various projects of Harm Reduction during care and support given by the peers who reformed and served.